Although best known as a playwright, the Swedish author August Strindberg (1849–1912) was a prolific writer of novels, short stories, poetry, and essays. The official edition of his collected works comes to more than seventy volumes. 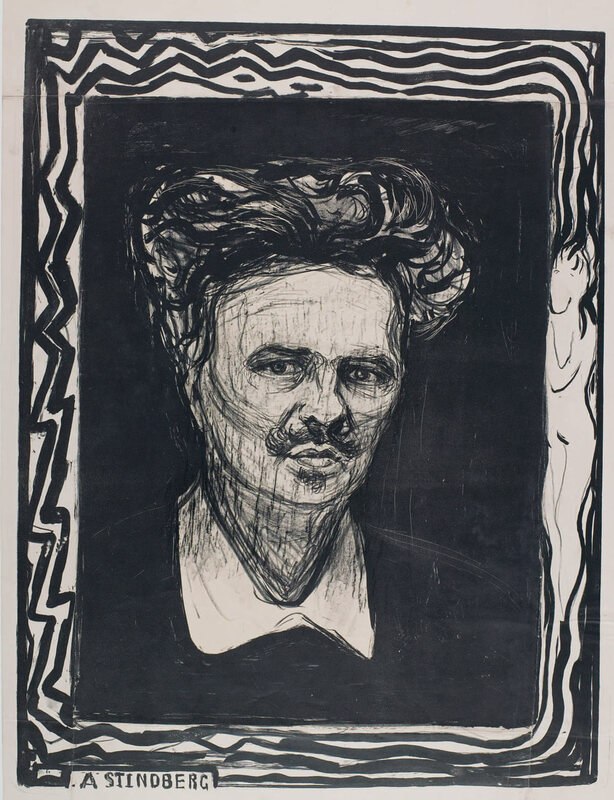 In 1888 Strindberg attended a series of lectures about the then little-known philosophy of Friedrich Nietzsche. He quickly became a devotee of Nietzsche and even started up a brief correspondence with the philosopher. After reading Beyond Good and Evil, The Twilight of the Gods, The Case of Wagner, and On the Genealogy of Morals, Strindberg began to write works that were directly influenced by Nietzschean philosophy as well as social Darwinist thought. One of the most explicit examples of this is the novella Tschandala of 1889. The novella is set in Lund, Sweden in the 1690s, which was in a province that had only been recently captured from the Danes. The protagonist is one Master Andreas Törner, a professor at the University of Lund and an army veteran who had participated in the battle in which the Swedes wrested control of Lund from the Danes. Unlike the situation today, the victorious Swedes realize that multiculturalism does not work, and they use the educational system to enforce the societal norms, language, and ethos of the dominant culture. In scenes reminiscent of a typical Chicago or Detroit public school, Strindberg even describes Törner needing to employ his walking stick as a cudgel against his more recalcitrant students. After a long academic year, Törner is looking forward to taking his wife and children to his home province for the summer. Just as the school year is about to end, Törner receives orders from the Swedish court that he must remain in the area and ingratiate himself with the local population as a means to determine the degree to which the process of integration with Sweden is succeeding. When he [Törner] examined himself, he found he had adopted a number of the gipsy’s gestures, borrowed certain tones of voice and, even worse, mixed Danish words and expressions into his speech. He had been jabbering with these infantile people for so long that he was forgetting how to speak properly; he had been lowering himself to their level for so long that his back was becoming hunched; he had been hearing lies for so long that he had come to believe that everyone lied. And he, a strong man who had never been afraid of battle, noticed that his courage was beginning to desert him, that cowardice and fear were creeping up on him in this struggle against invisible powers and enemies who were superior because they did not shrink from using weapons he could not bring himself to employ. What, then, lay at the heart of Törner’s disquiet about crushing this opponent? It was his sense of the value of human life, the doctrine that we should forgive our enemies, defeated or not. Old and foolish teachings which malevolent men have always availed themselves of to overthrow those who have been merciful in victory; stories of the blessings of compassion—omitting, of course, the story of the frozen serpent which turned on the breast that warmed it. The pariah was dead, the Aryan victorious. Victorious thanks to his knowledge and spiritual superiority to the inferior race. But had he not found the strength to commit a crime he could easily have been the victim. Published: October 25, 2017 | This entry was posted in North American New Right and tagged articles, August Strindberg, book reviews, Friedrich Nietzsche, Gypsies, Masterpieces of Aryan Literature, multiculturalism, North American New Right, originals, Quintilian, Tschandala. Both comments and trackbacks are currently closed. “Since we have been speaking of Poland, let us not forget Poland’s greatest poet, Count Zygmunt (= Sigismund) Krasinski (1812-1859), and his brilliant Undivine Comedy (Nieboska komedja) of which there is an English translation by Harrietta E. Kennedy and Zofia Uminska. 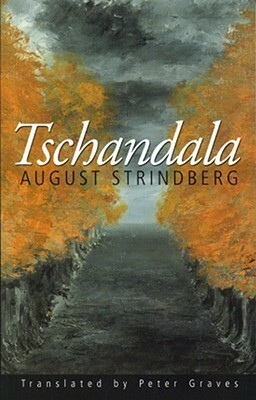 Tscandala by Strindberg. Truly a controversial classic. Even in Swedish it’s relatively hard to obtain. If you like Strindberg then this is a relatively fine Strindberg work. Then, if you (like me) don’t care much about Strindberg’s work at large, then it can be hard going consuming it. The one thing I have against it is lack of zeitgeist, the 1690s scenery in almost every scene revealing the late 1800s of Strindberg’s own times. Strindberg might be of interest for literary history. But as for Swedish authors of the late 19th, early 20th century of interest for today’s radical conservatives, I must recommend Verner von Heidenstam. He got the Nobel Prize so a handful of his works are translated into English (like A King and his Campaigners and The Swedes and their Chieftains). 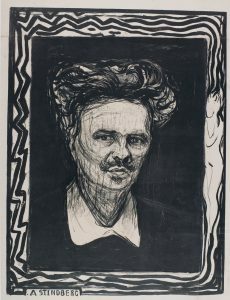 Now, the craze for Strindberg by the radicals of our time has given the English speaking world a wealth of Strindberg works and comparatively few Heidenstam works, a kind of imbalance regarding artistic relevance if you’re asking me. In short: Strindberg’s whole opus is quarrelsome and shrewish while Heidenstam’s is elevated and intriguing, a symbolic-naturalistic outing into energetic lands. Well, it wouldn’t be impossible to translate and publish it in English again? I could do it my self. When Strindberg and Nietzsche corresponded, they did it in Attic Greek. I had to go to inter library loan to get this book and there was only the Vancouver library that had a copy. The English translation at amazon was over $80. A relative of mine who is a high school librarian told me that they were getting rid of books published before 1990. I thought she was kidding, but apparently not. It’s true, this is a widespread phenomenon. I think they’re trying to deduct anything that is not normie, or any evidence that there was ever another way of thinking from all the libraries. I live in a rich, relatively rich, parish, and our library only recently had David Duke’sbooks and paul Rassinier’s books, but since the purge, they’re all gone. They continually have these massive book sales, and now many shelves are empty. Librarians used to be a bastion of free speech I believe, that has taken time to erode, but I fear this too has finally fallen. Think about it–they purge everything before a particular time period, then carefully manage the spigot of books entering the library. There is no chance an impressionable mind will happen upon heterodox thought, unless he is actively seeking a particular title–and now many are off amazon altogether. Give it twenty years and all this will be off the internet too I’ll wager. It sounds like libraries deserve to die. A long time ago I read a book about evolution called “Ever Expanding Horizons” which I thought was a fantastic book. Years later I went back to the library looking for it and it was gone. It made it to the basement for a while and then was discarded. It’s like they are burning the books. Everything needs to be digitized, the sooner the better. I’m not talking about the occasional book being retired, but a massive purge from several different major public library systems. I think it may also be related to the rise of internet book sales. People are stealing valuable second hand books to sell on amazon. But this presents a pretext. I have stated it before. I think that sometime in the near future when the number of whites fall below 50% in America, that channels like “Turner’s Classic Movies,” and “Nick At Night” will be deleted from the airwaves. The jews will use the pretext that there just wasn’t enough demand. I think that the jews will purge every category of art this way this way. Someday, we will wake up, and won’t be able to find a television show which displays an older, white America. It will be the same way with what we hear on the radio–nothing but Mariah Carey, and Whitney Houston. Learning about nearly-lost cultural artifacts such as this is a big part of what makes CC so invaluable.